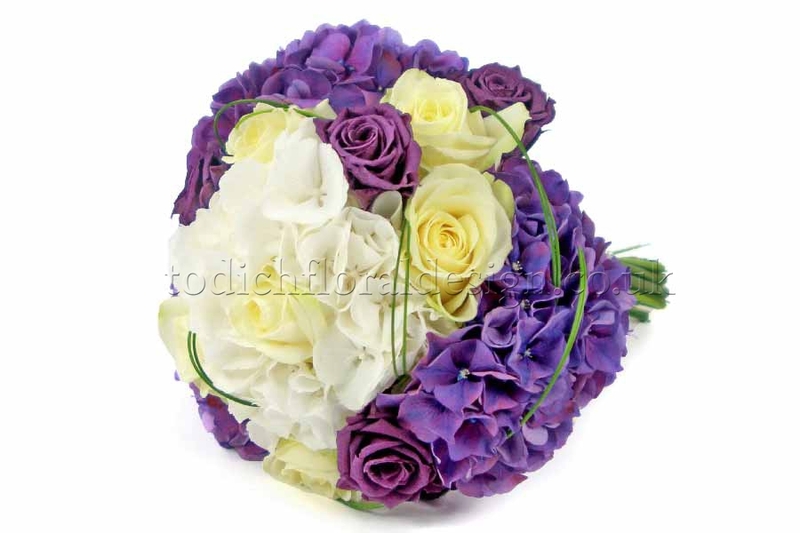 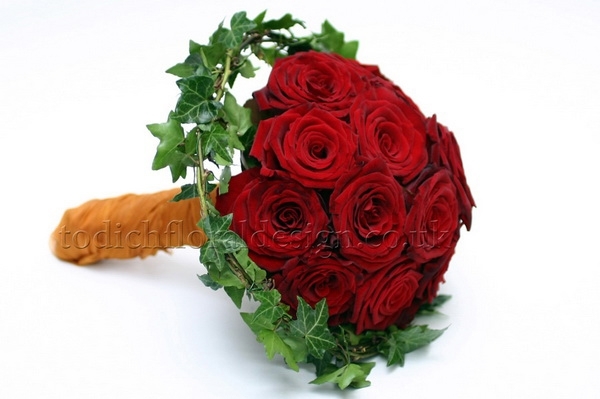 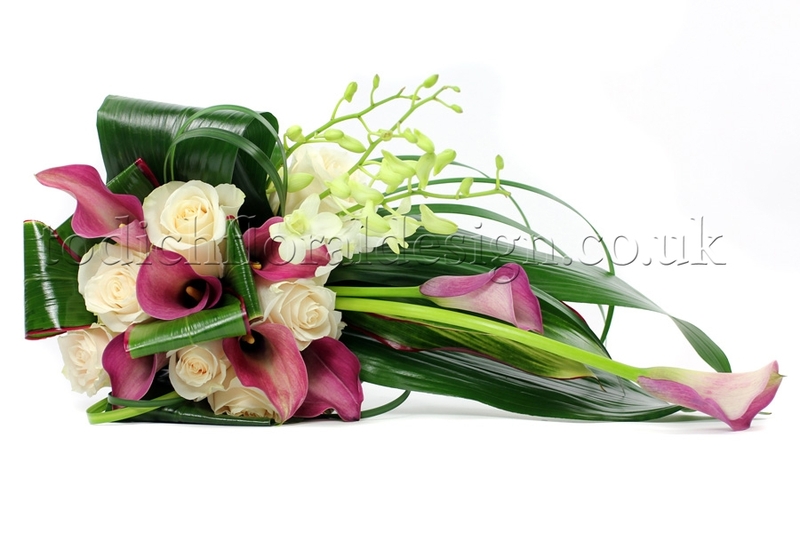 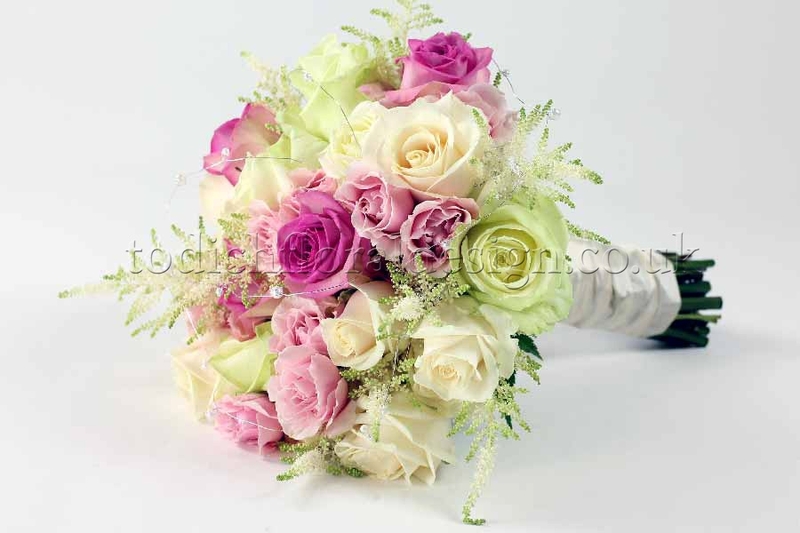 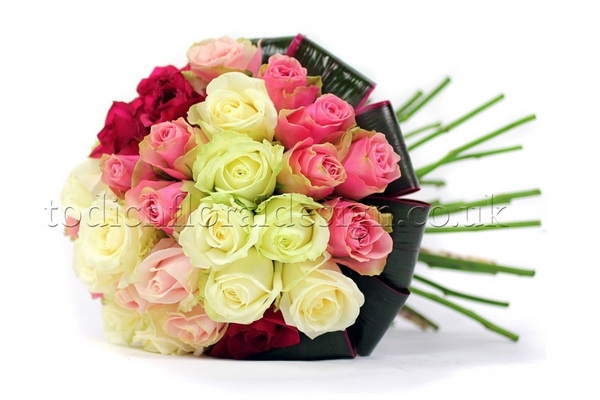 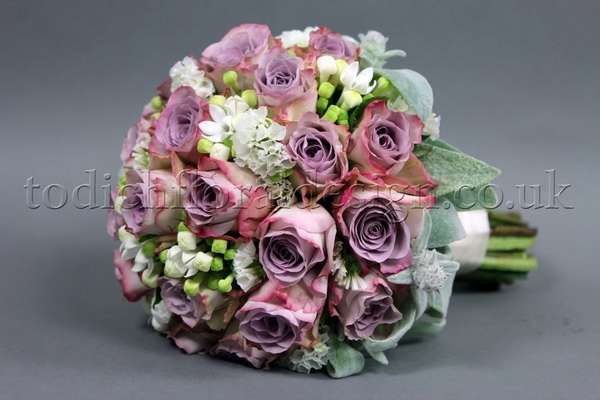 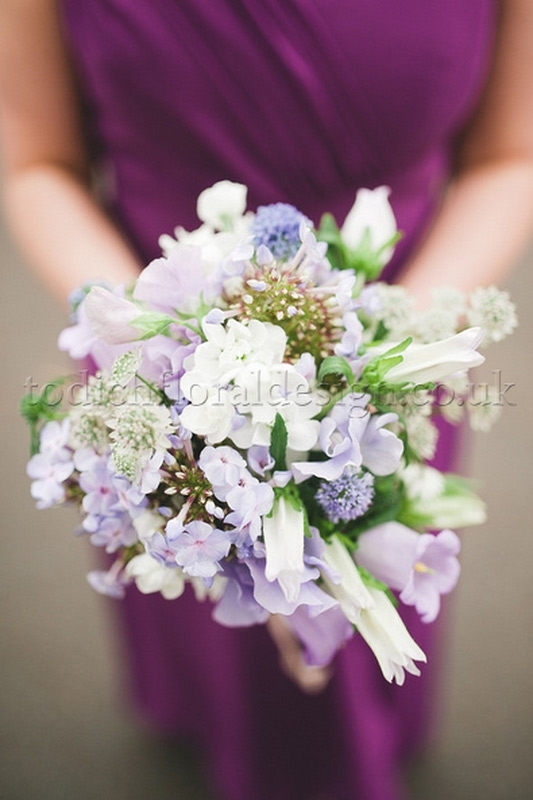 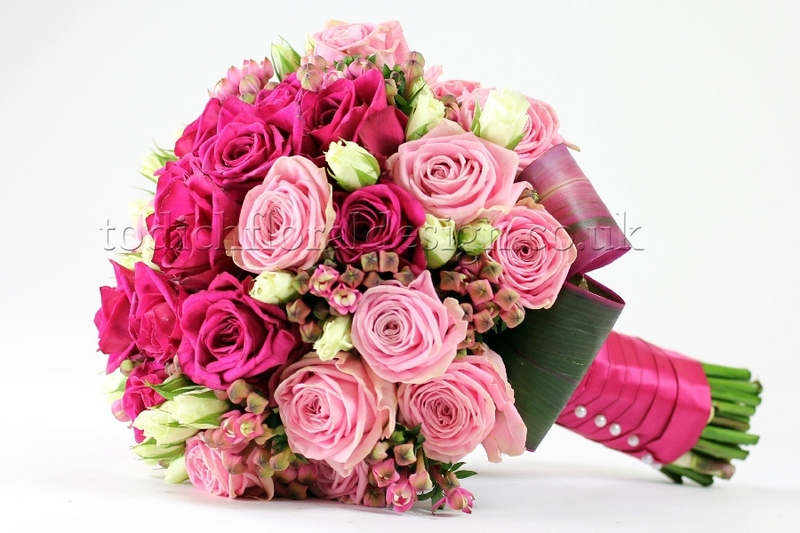 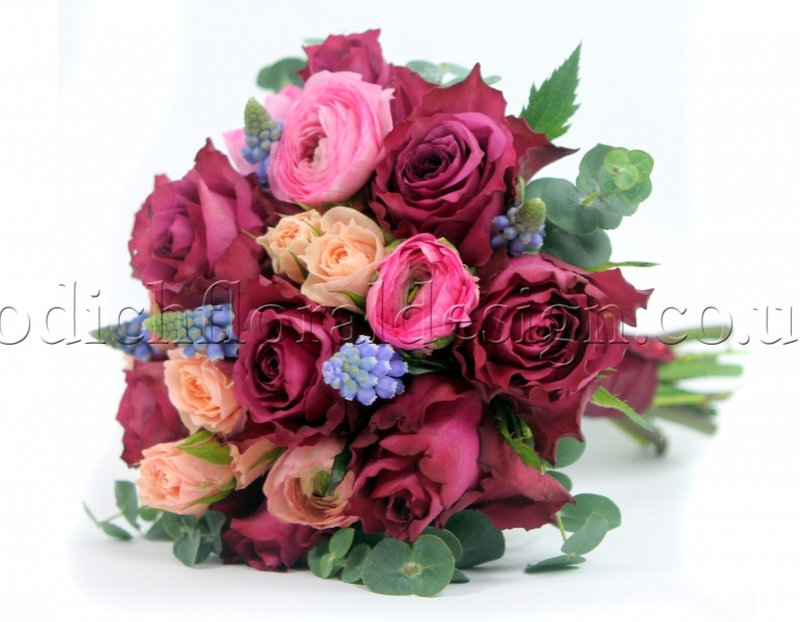 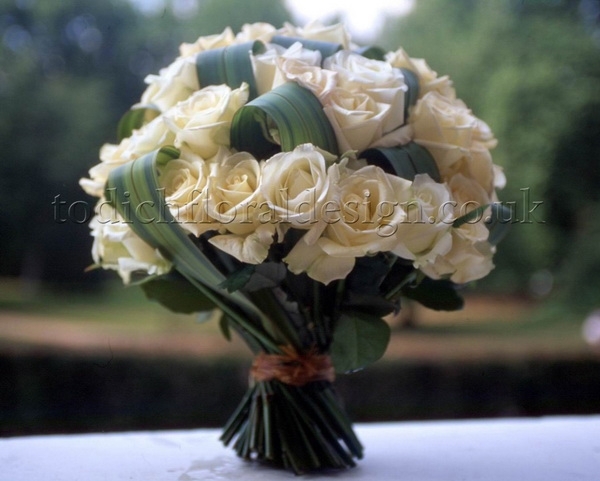 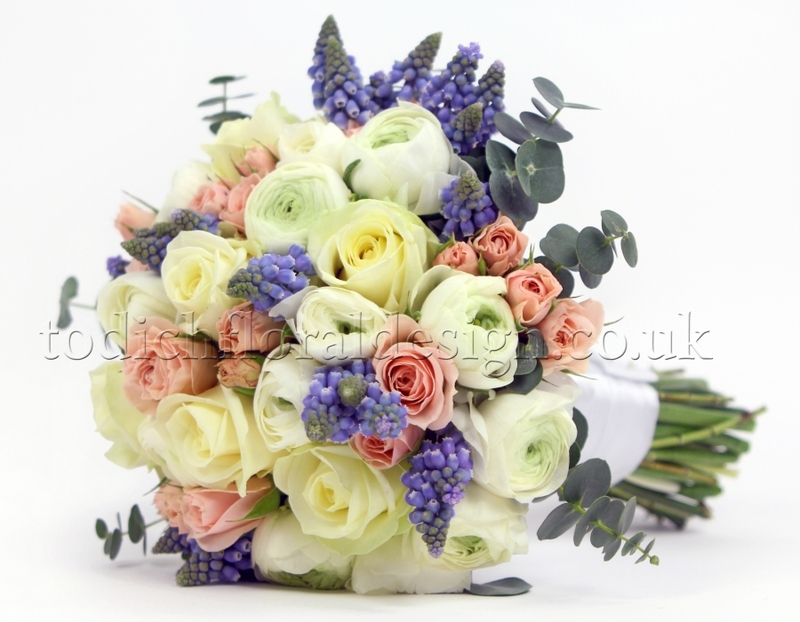 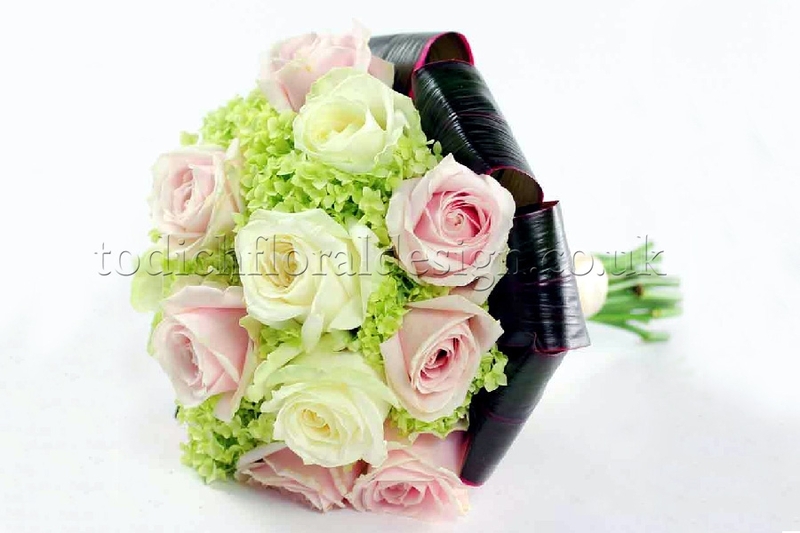 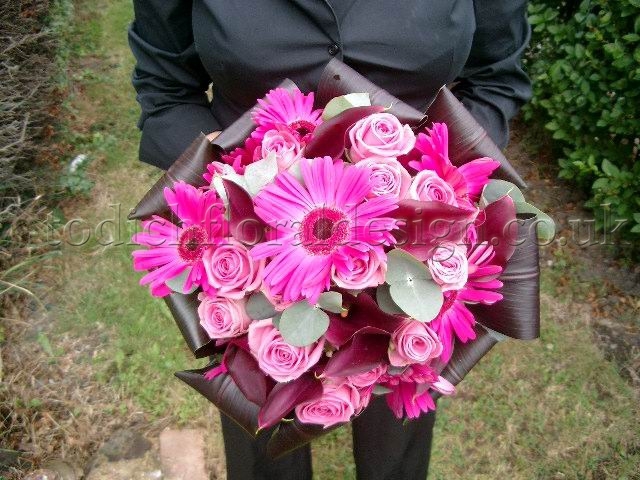 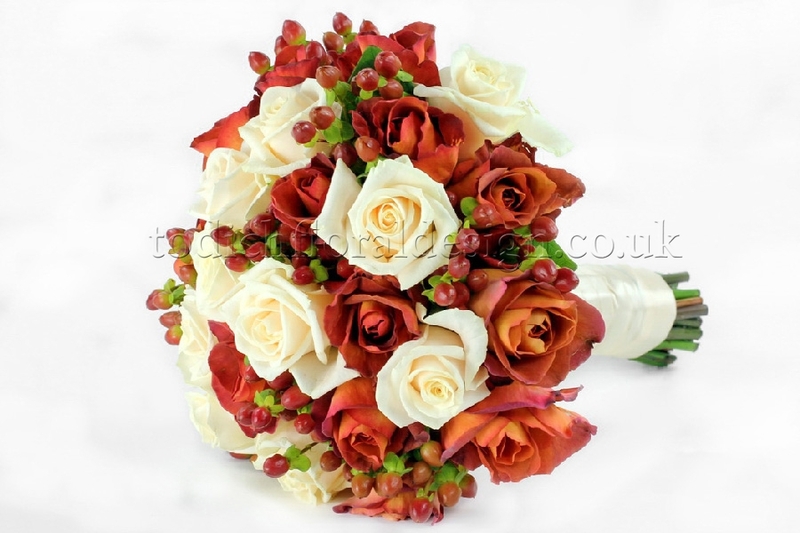 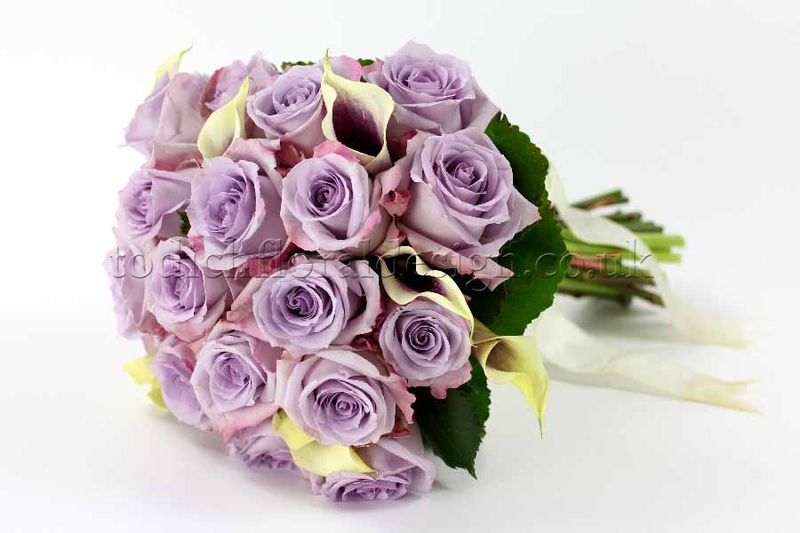 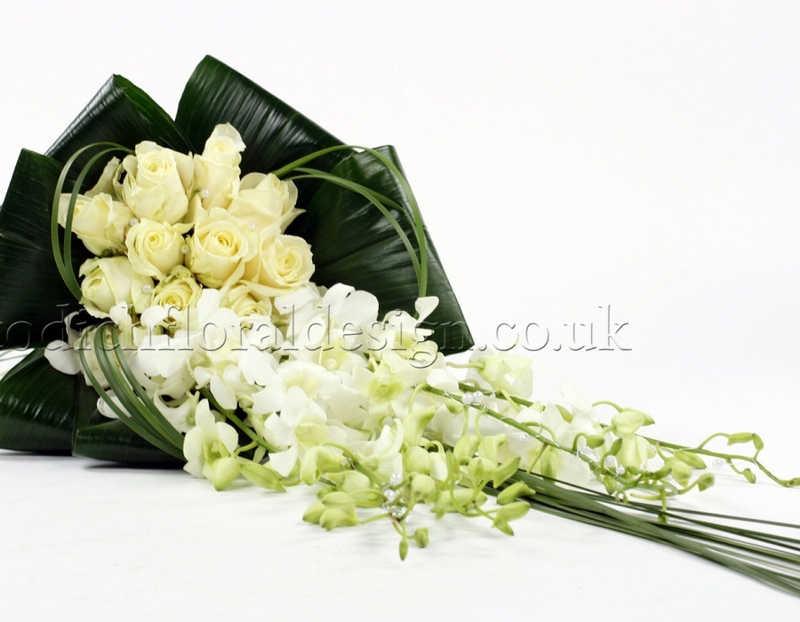 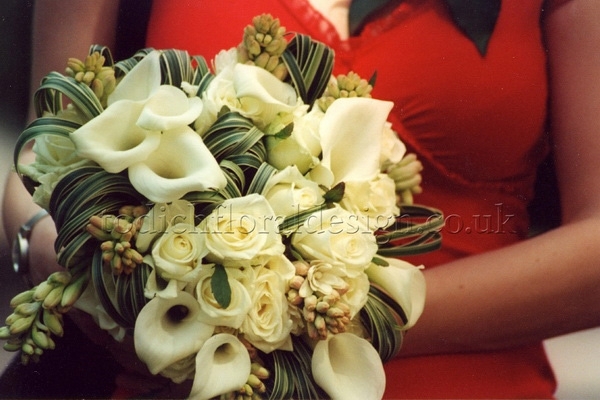 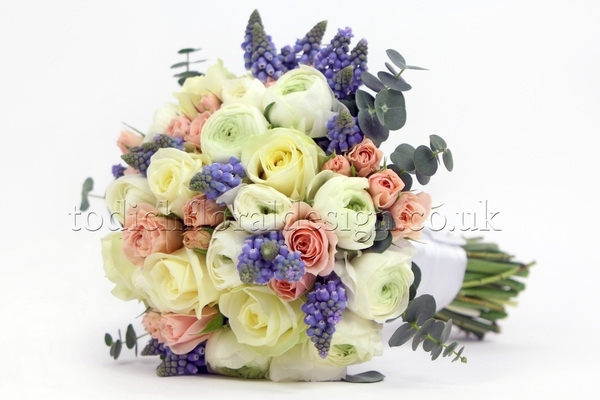 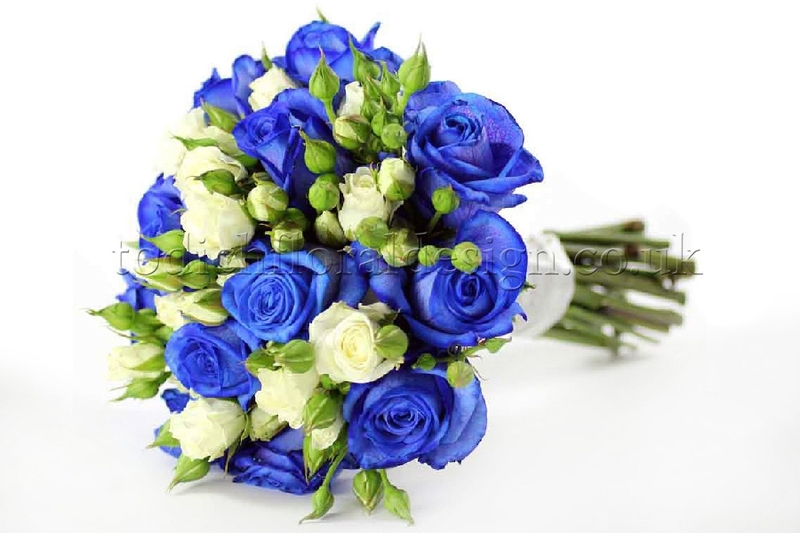 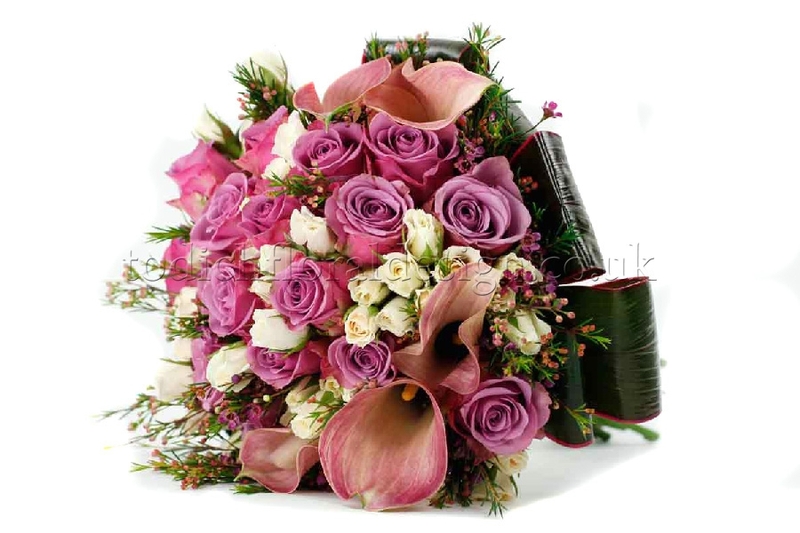 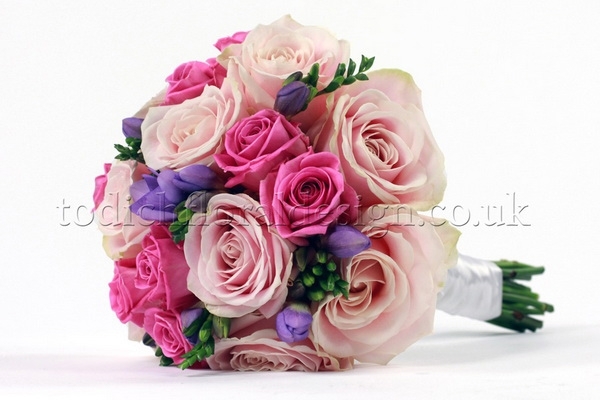 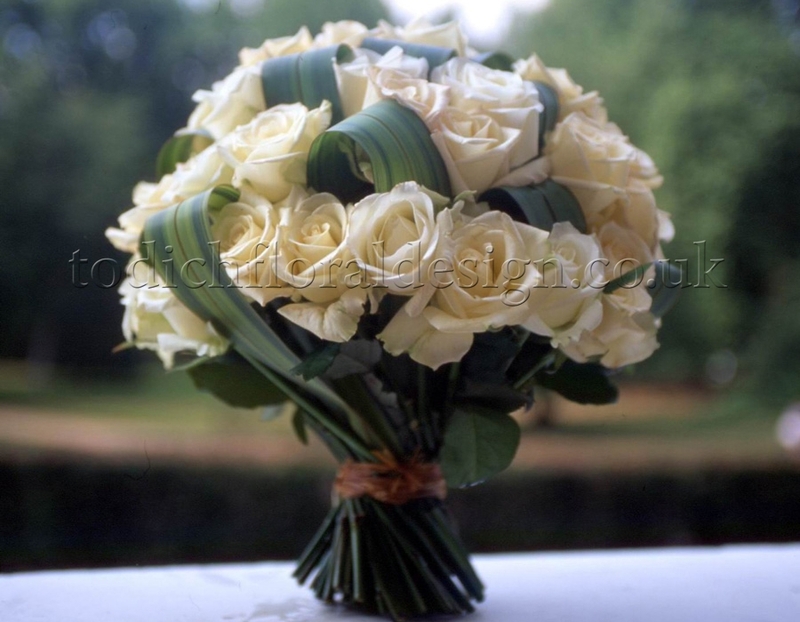 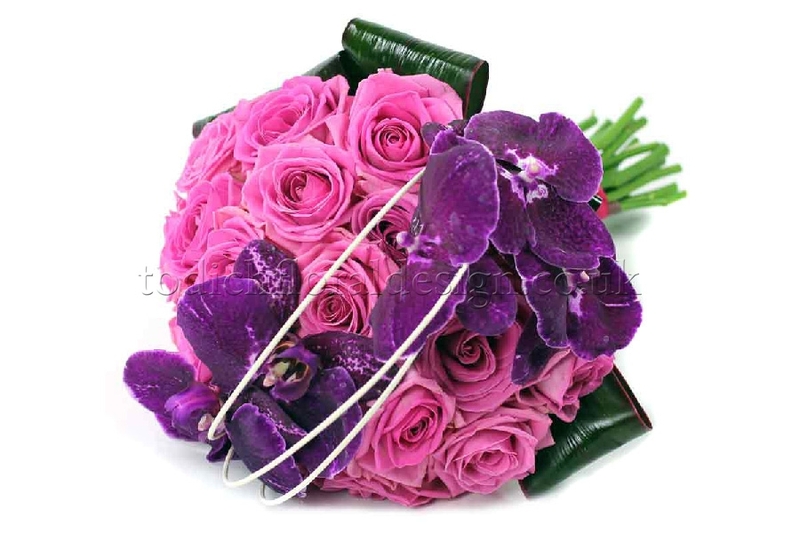 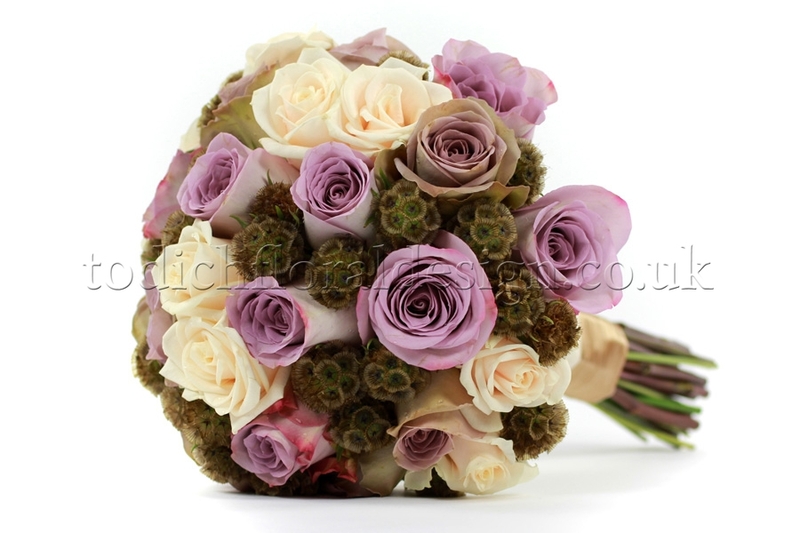 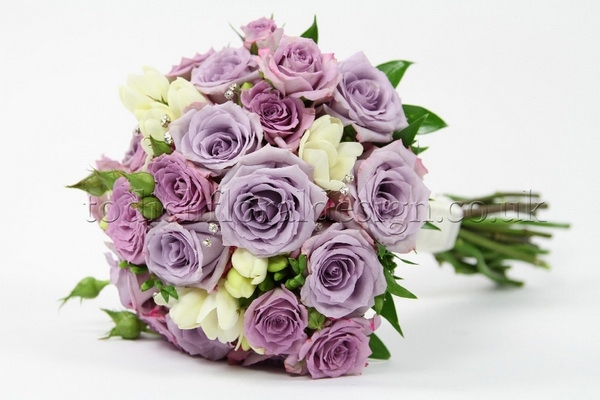 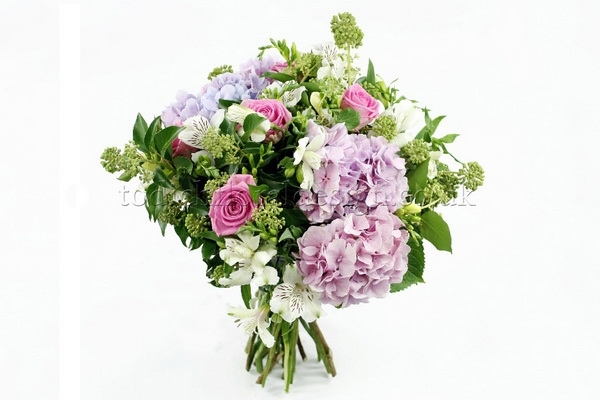 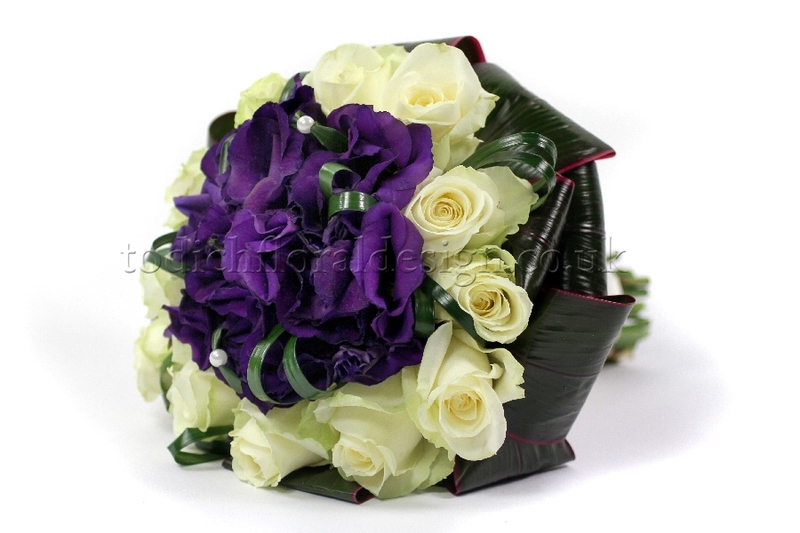 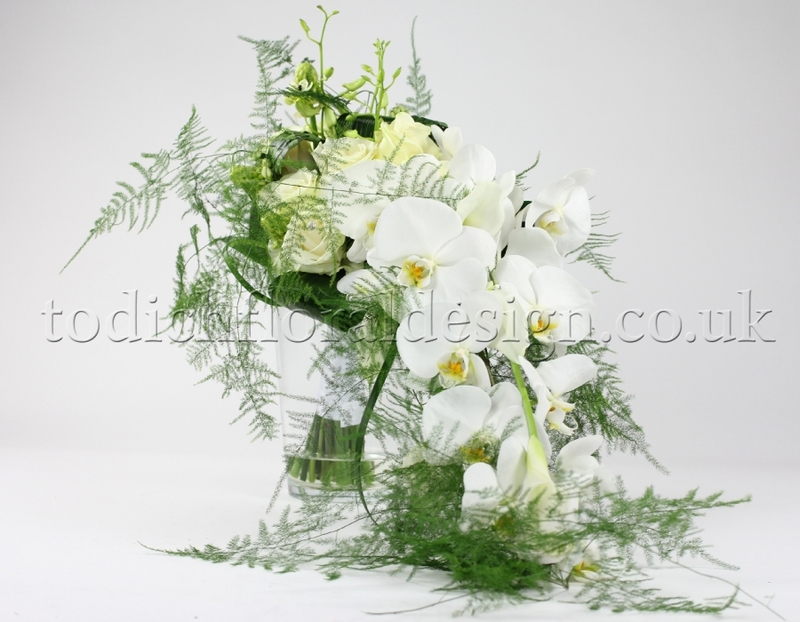 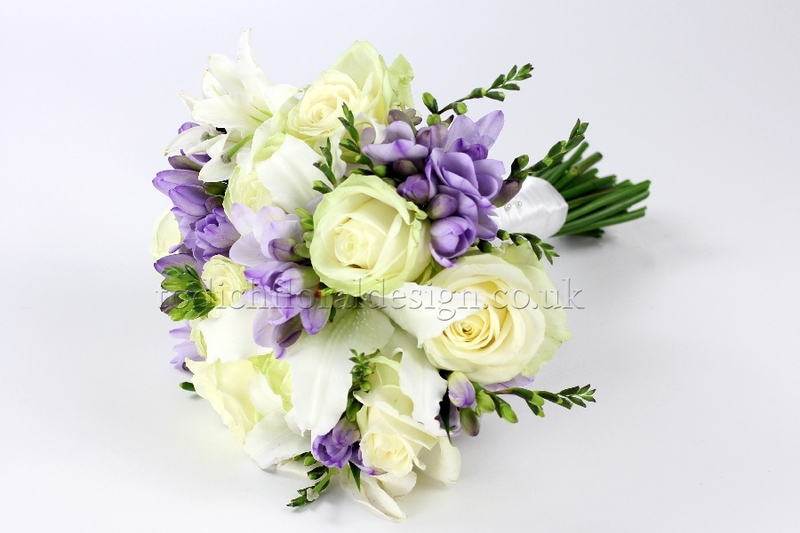 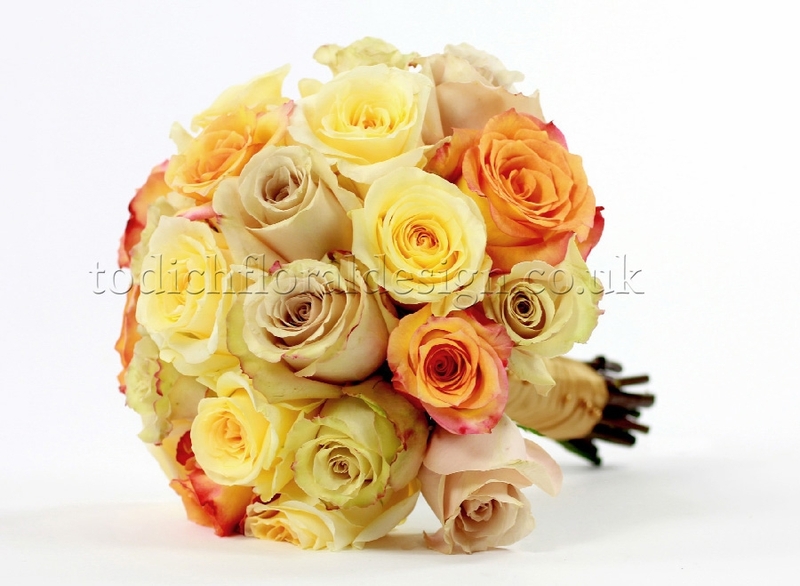 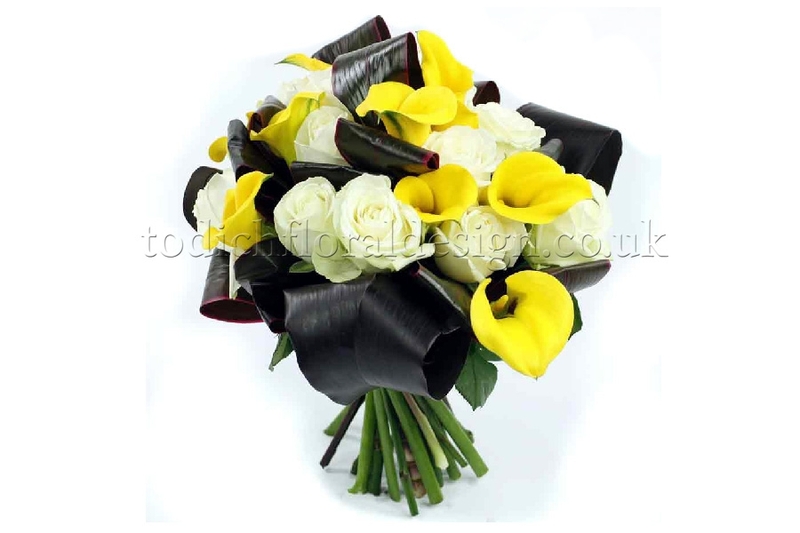 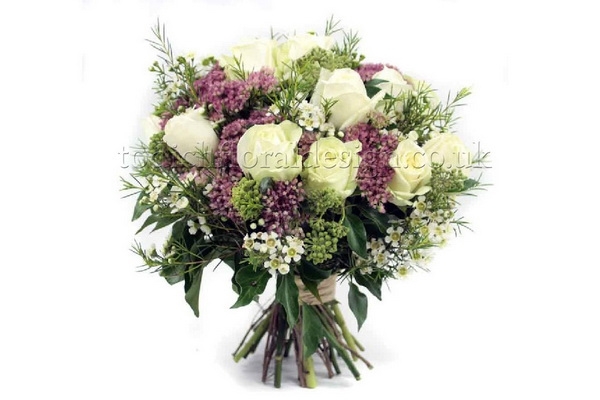 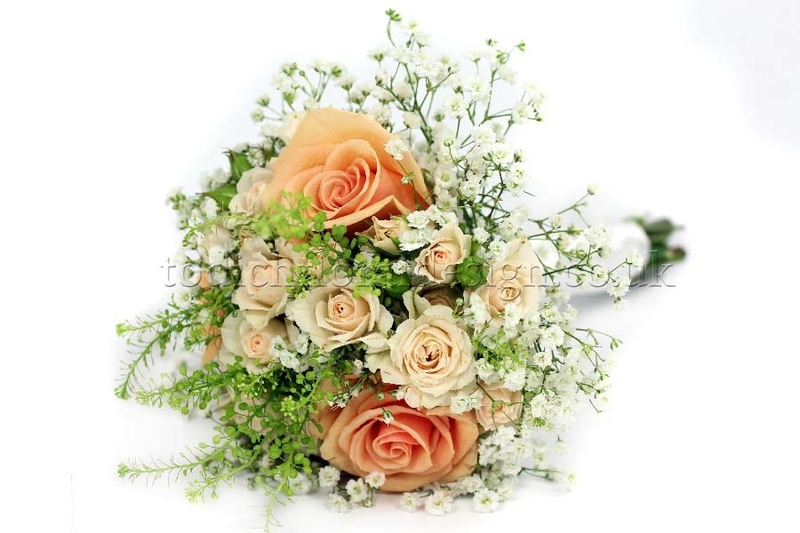 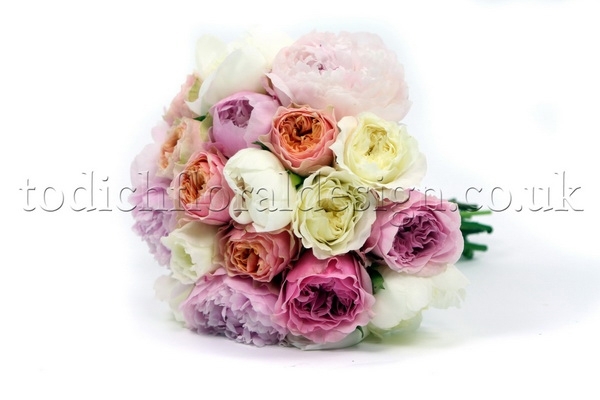 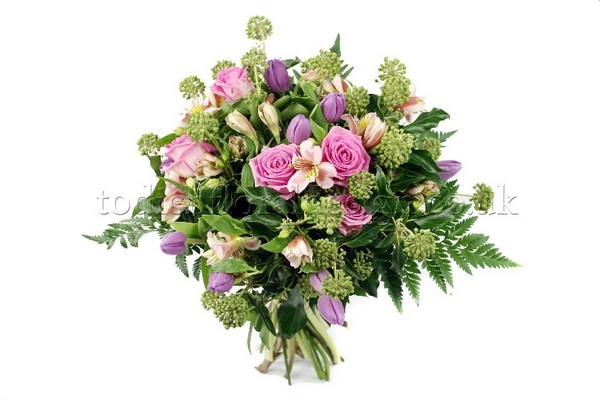 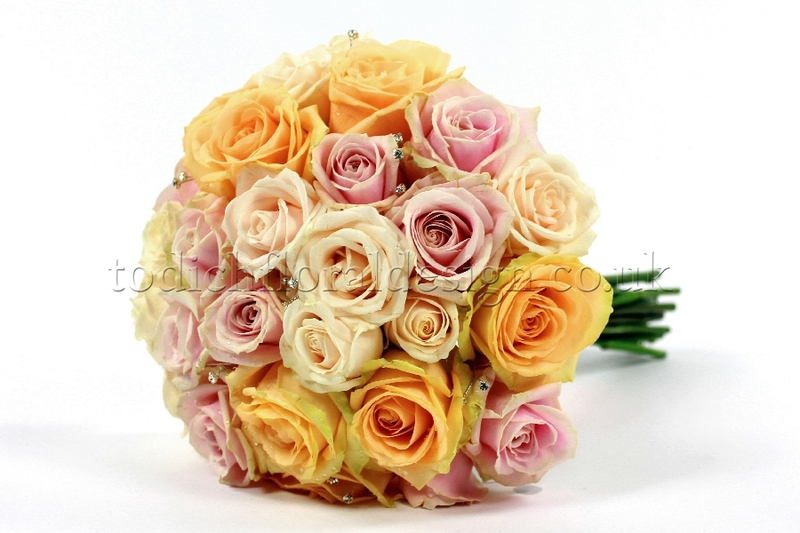 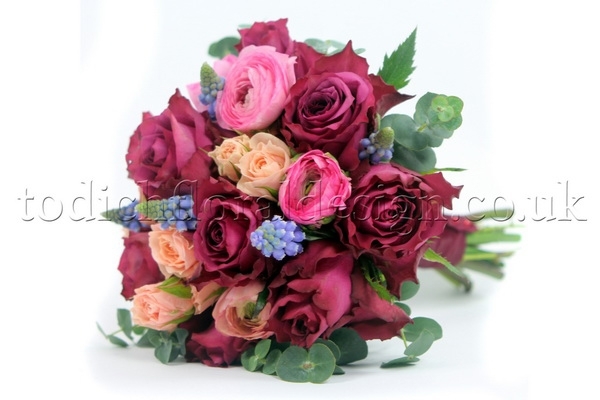 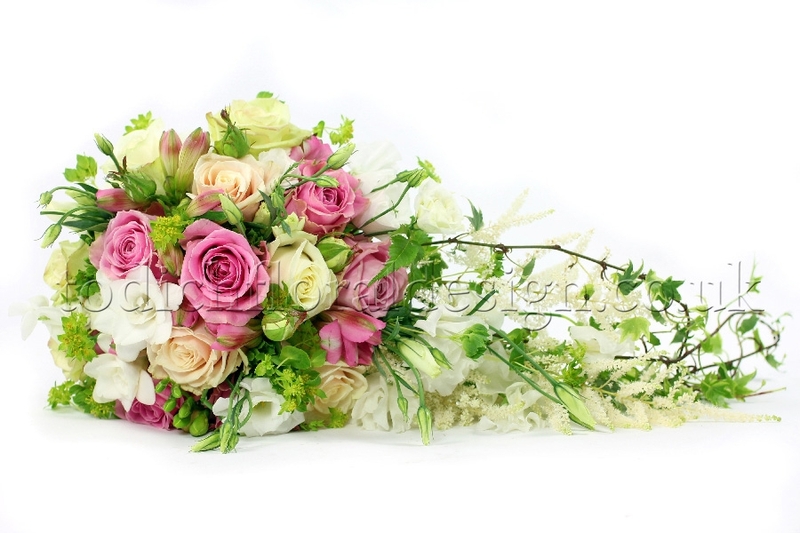 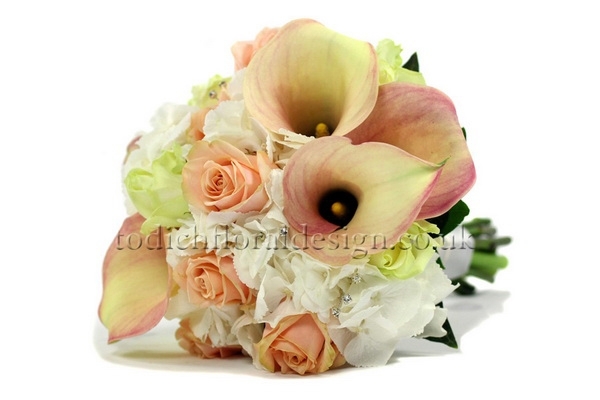 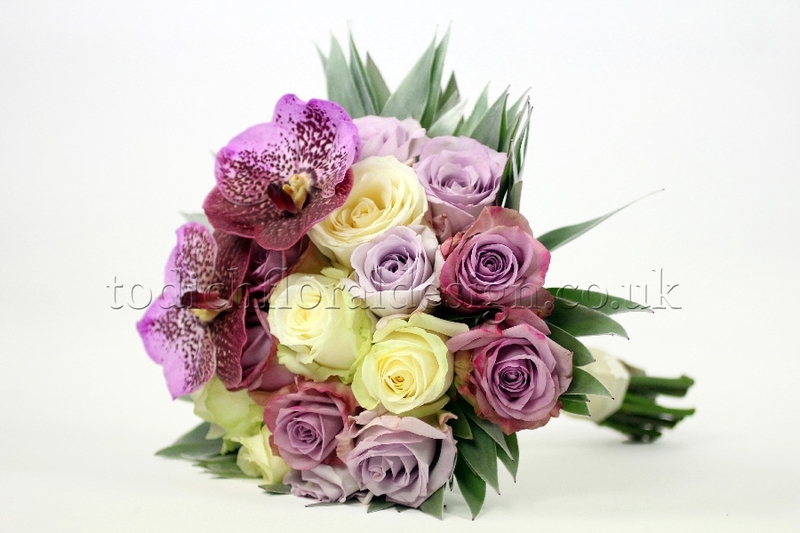 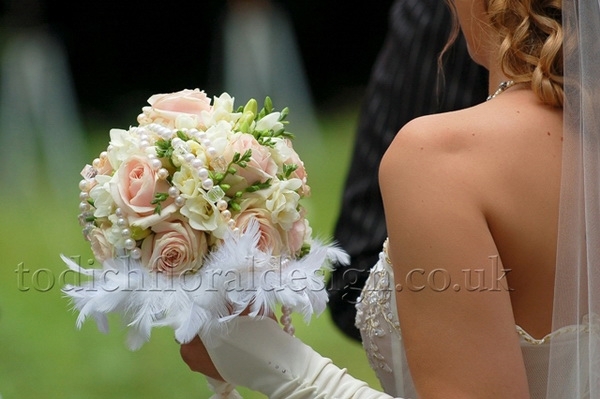 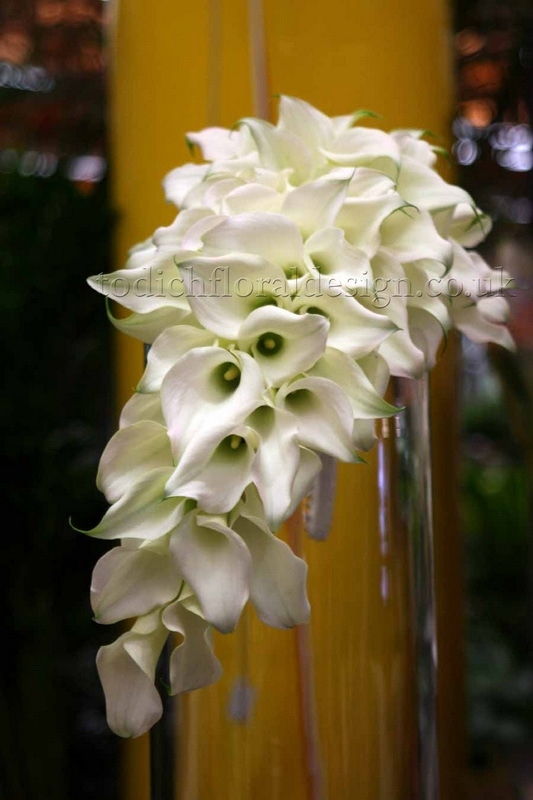 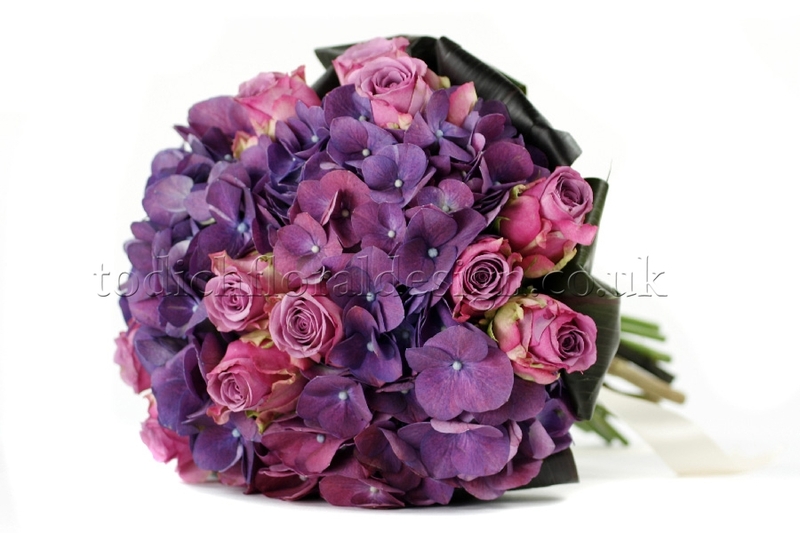 Probably the most important flowers at a wedding, a bridal bouquet is the very thing everyone at a wedding notices. 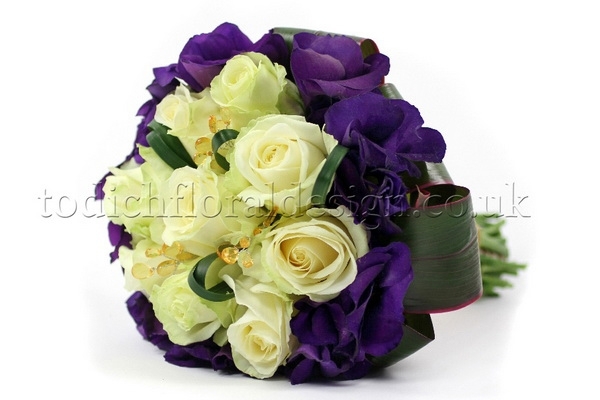 It's the symbol that draws attention to the bride, and complements her personality, tradition and style. As with most things having to do with marriage ceremonies, the tradition of the bridal bouquet goes back to ancient times. They weren't actually made so much from flowers, but more from strong scented herbs and spices, that were believed to have mystical powers. 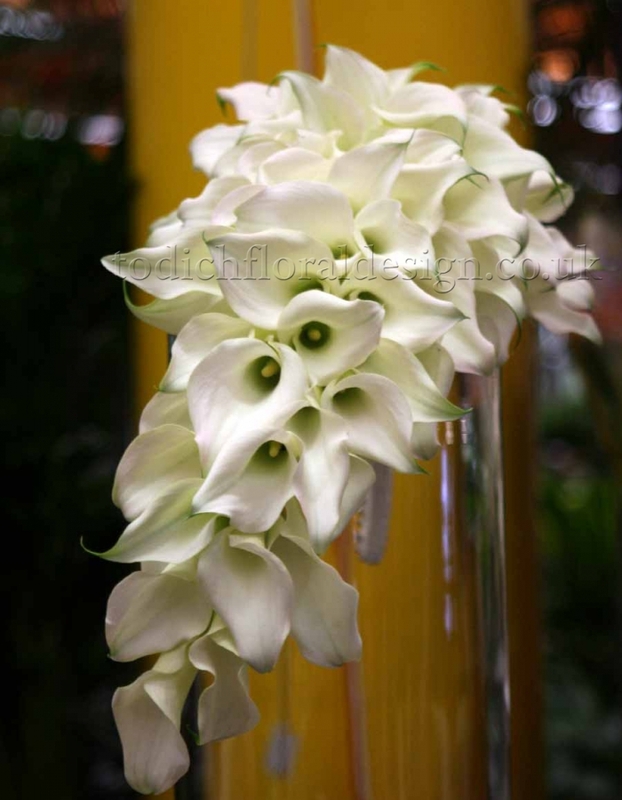 They were used to ward off evil spirits. 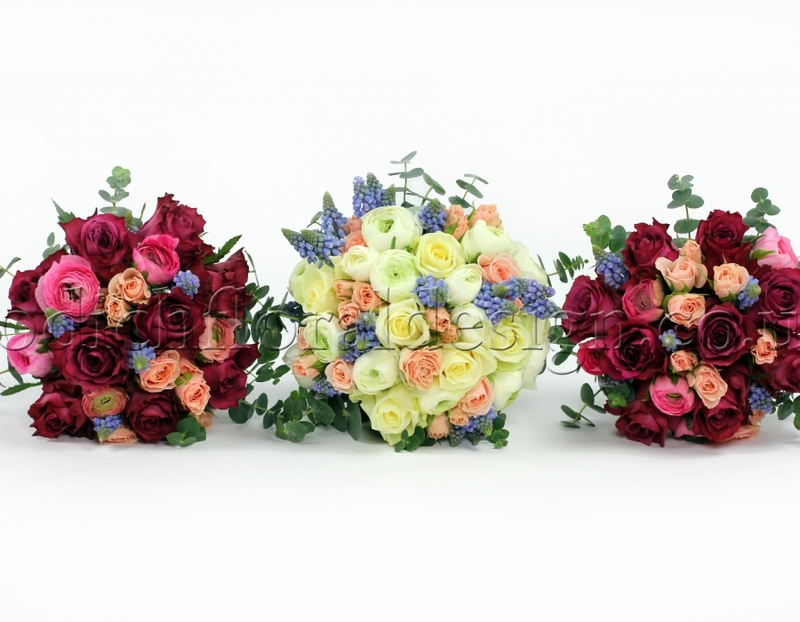 Over time, the herbs and spices gave way to flowers which symbolized the bride's purity with beautiful colourful blooms and pleasant scents. 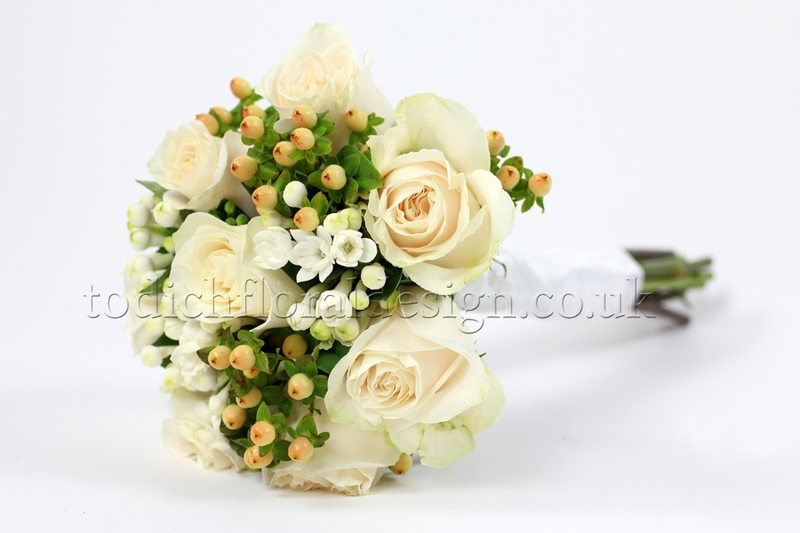 In Victorian times, flowers were introduced as the traditional choice for bridal bouquets, and have remained so until modern times. 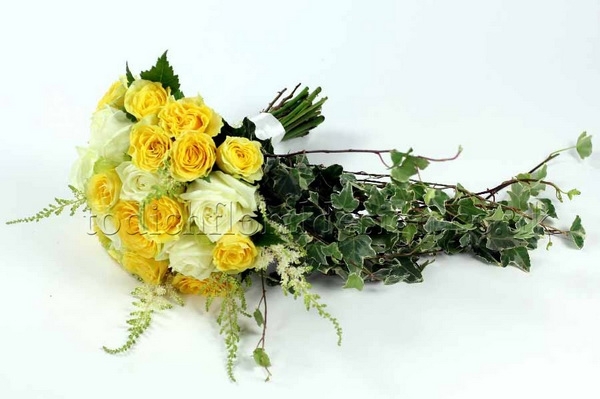 In fact, it is believed that many of the meanings associated to particular varieties of flowers have been introduced in Victorian times (ex. 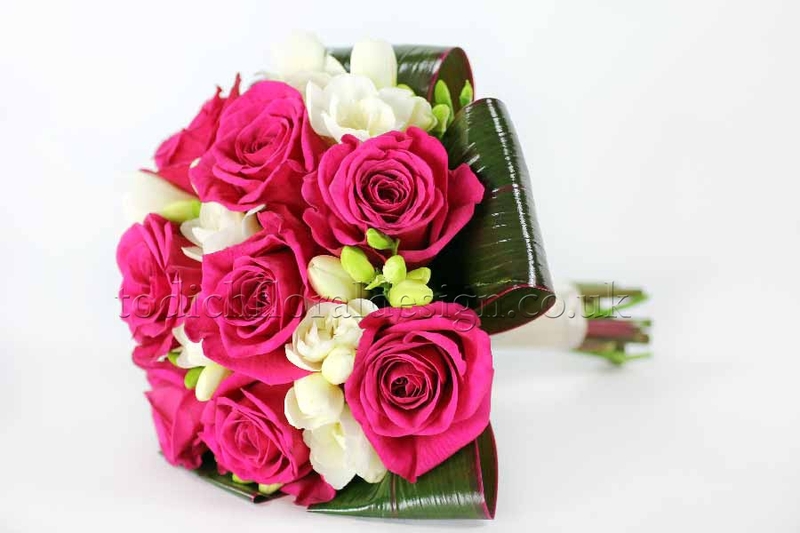 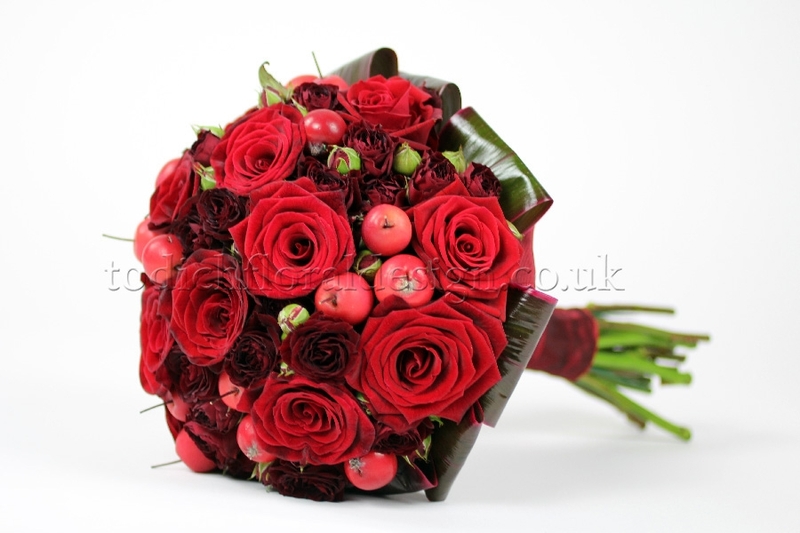 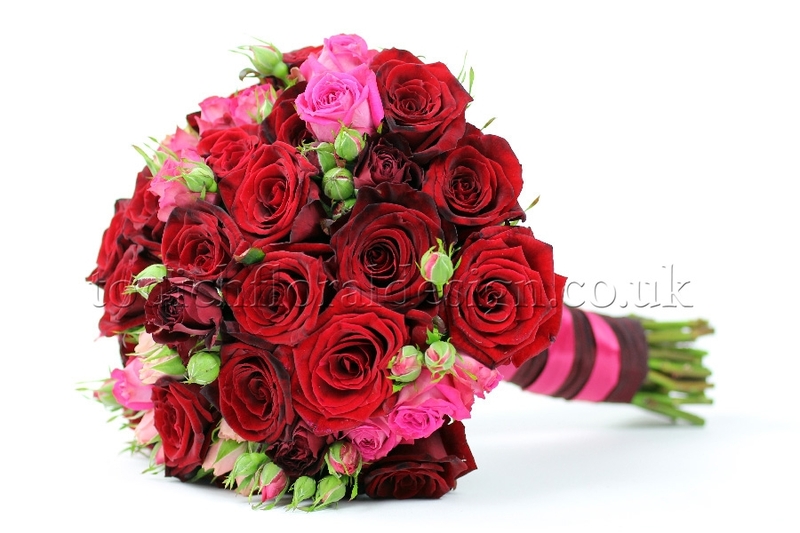 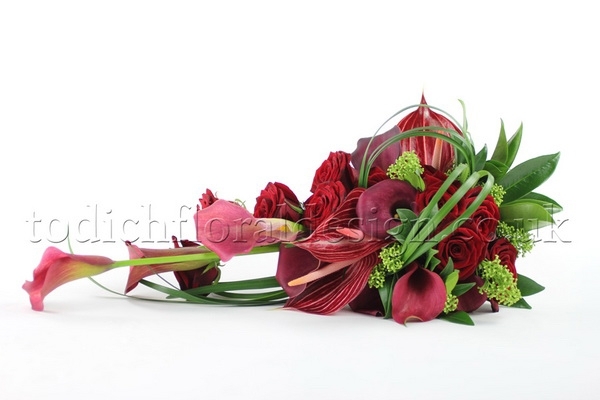 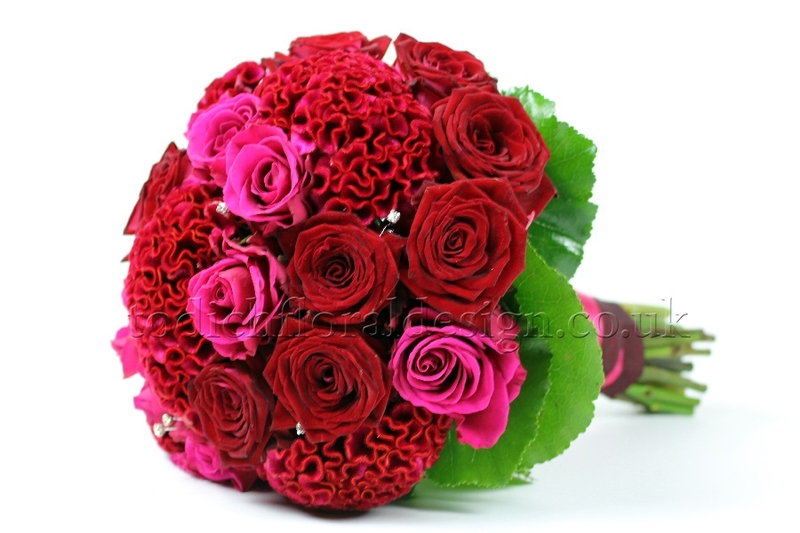 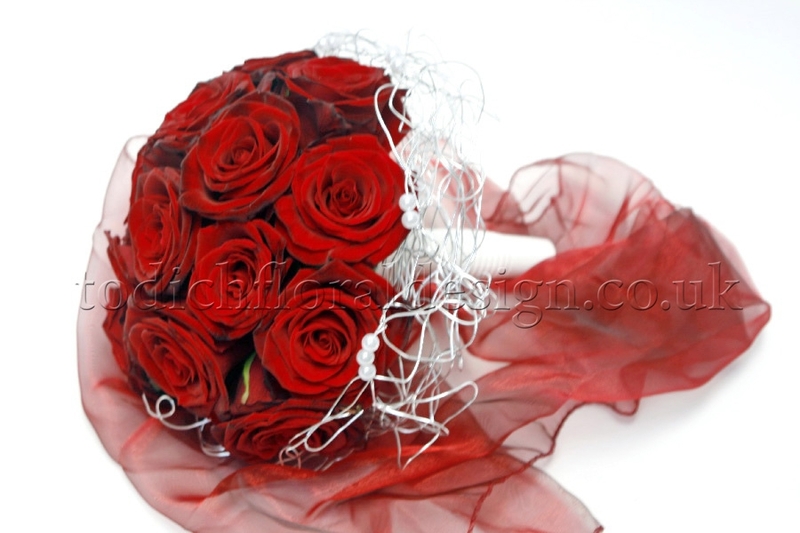 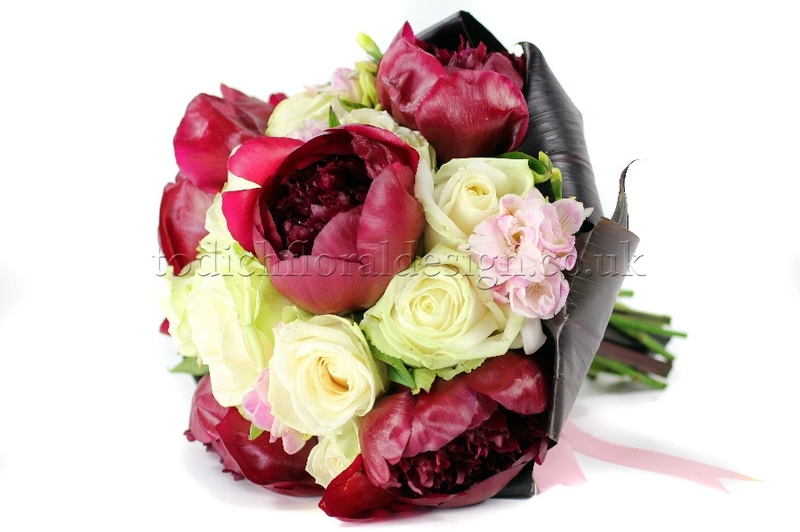 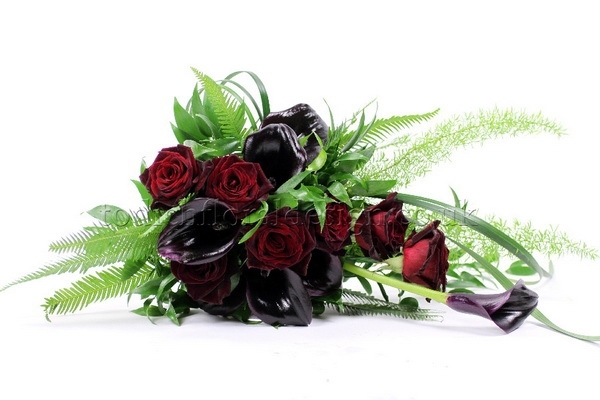 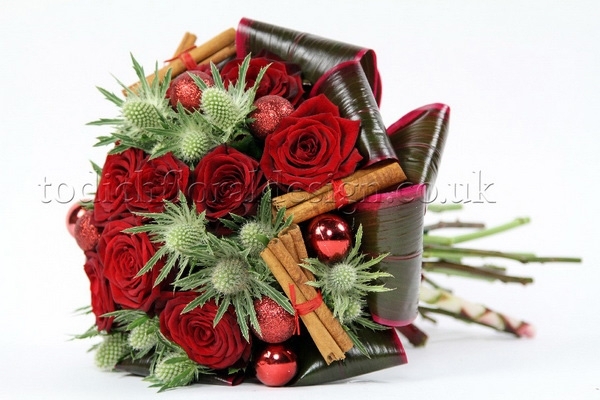 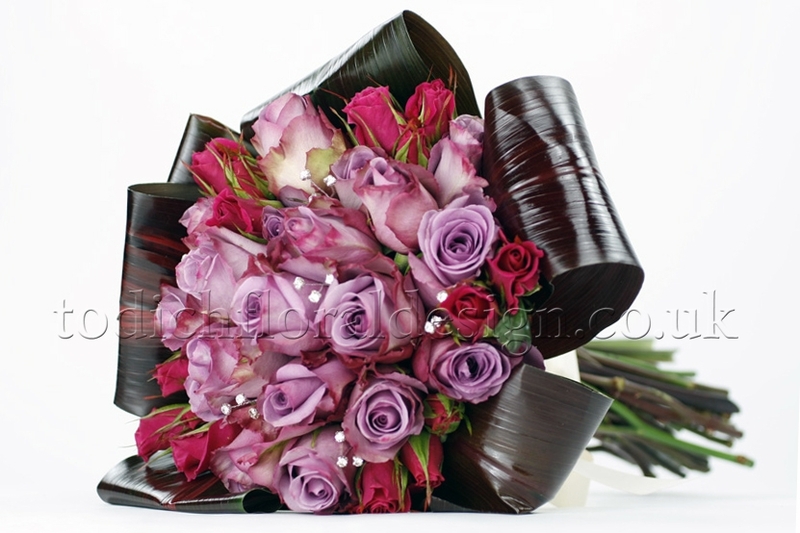 red roses signify a passionate sender, while a touch of freesia send along a discrete message of trust). 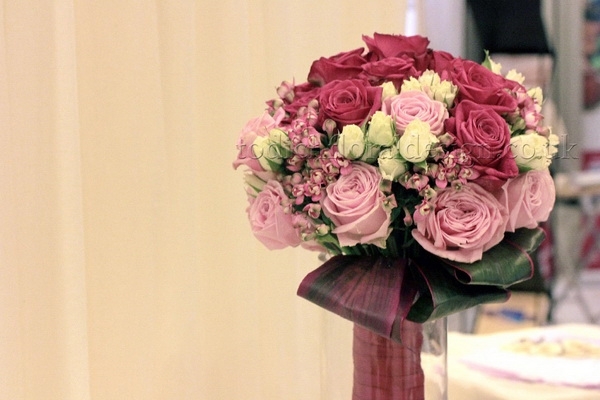 Have you ever wondered why the bridal bouquet is thrown after the wedding ceremony? 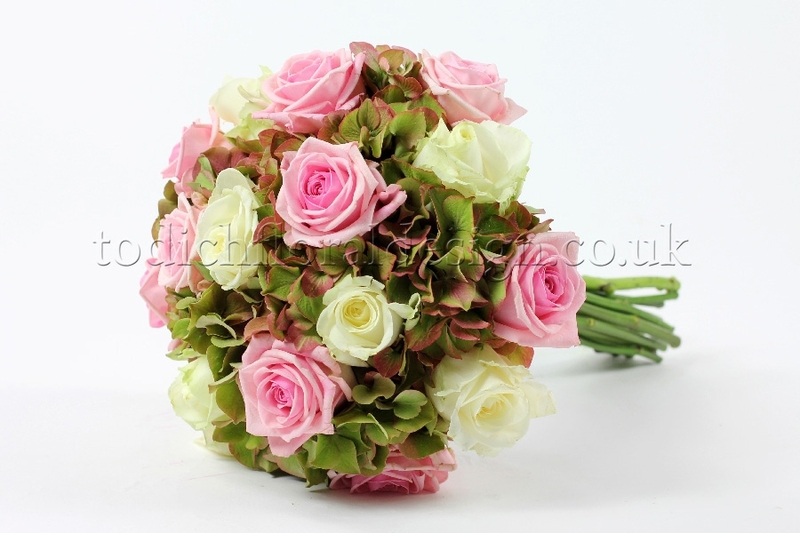 The tradition is though to have come from America, although it has been present in other parts of the world as well. 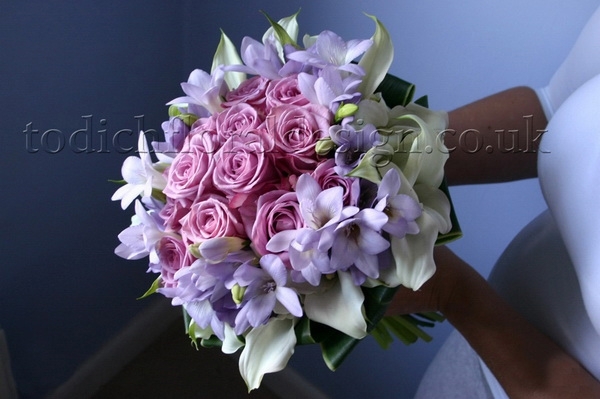 The idea behind throwing the bouquet is for the bride to spread her happiness onto someone else. 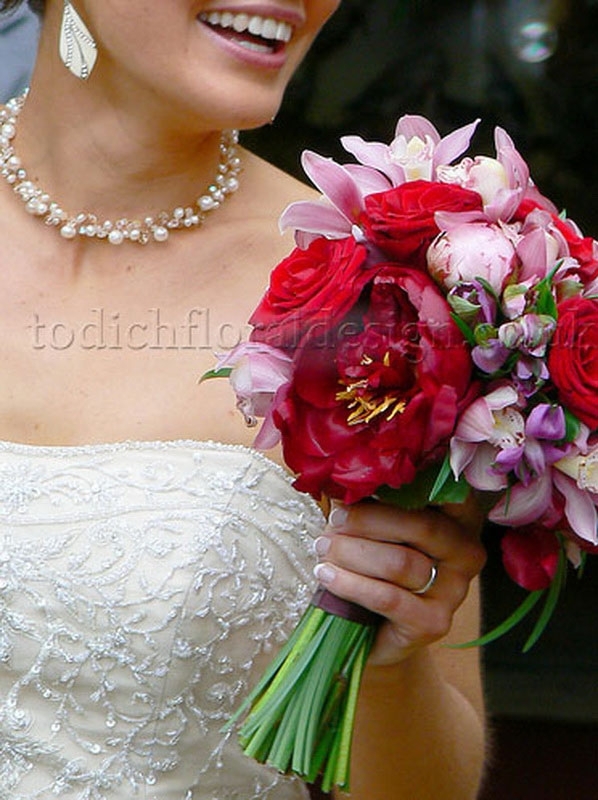 The woman who catches the bride's bouquet is believed to be next to find happiness in marriage. A similar tradition involving the groom and the throwing of his buttonhole over his shoulder is practiced in some social environments, although quite less frequently than the throwing of the bridal bouquet. 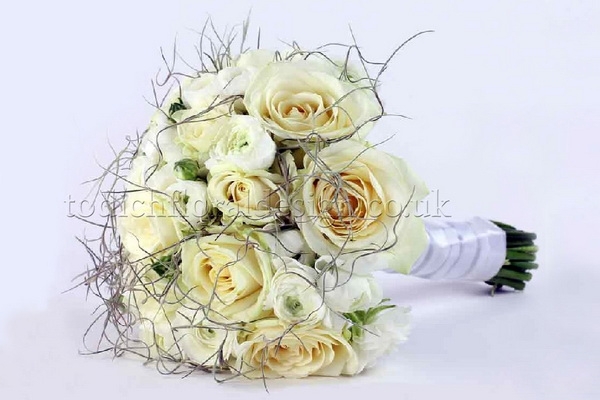 There are many, in fact probably as many as there are ideas about designing them, but more importantly, it is the overall design and form that has to be kept in mind when choosing a bridal bouquet. 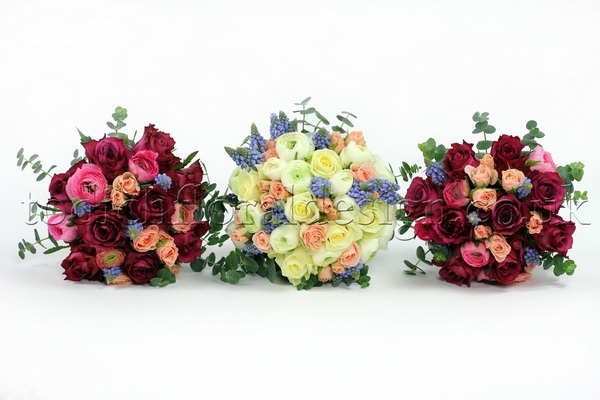 After all, the design, colours, flower varieties used, all have to complement the bride's personality and style, as mentioned earlier. 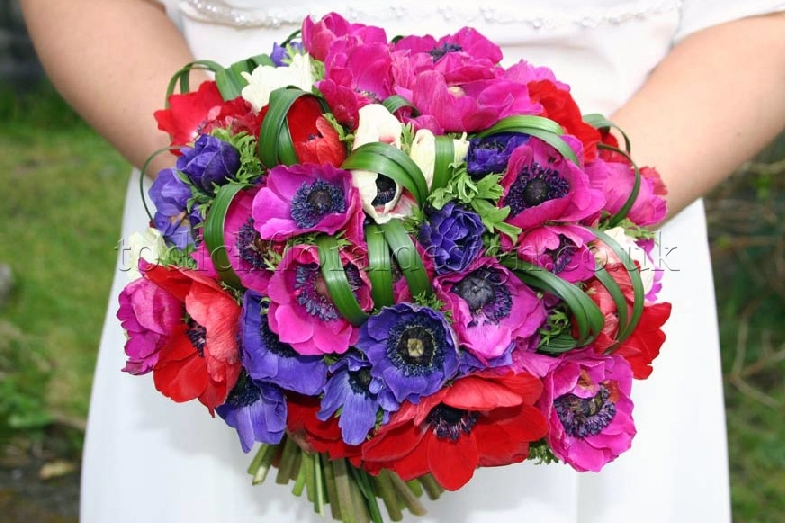 Generally speaking, a larger bouquet will usually go better with a long, more traditional gown, while simpler, smaller bouquets go better with knee-length dresses. 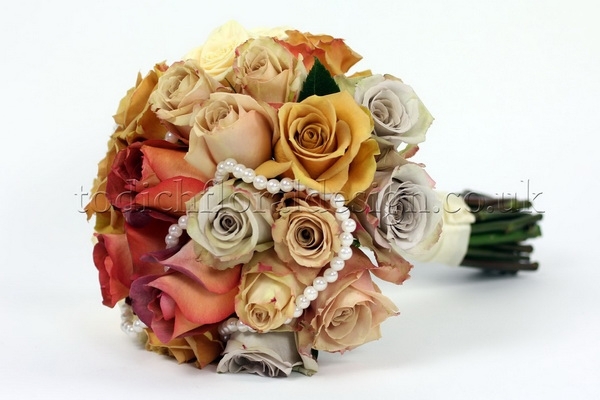 As with most things nowadays, traditional rules are no longer observed, so a bride can basically turn almost any idea into her own unique bridal bouquet. 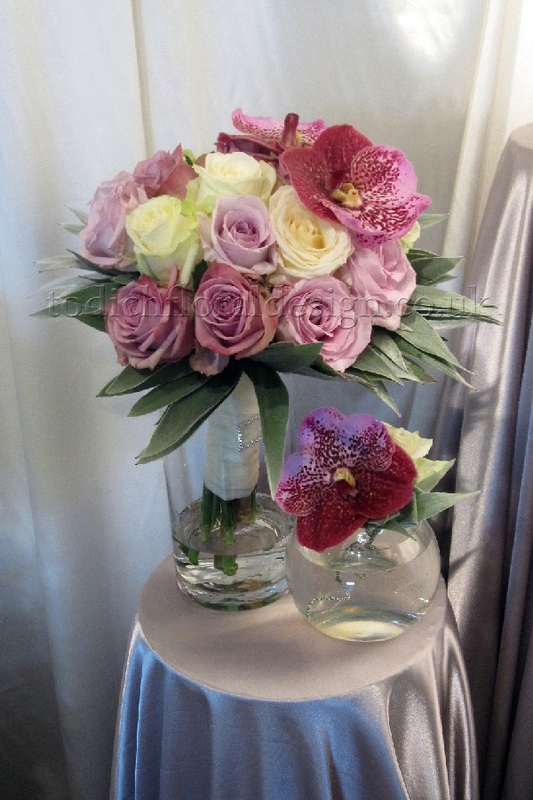 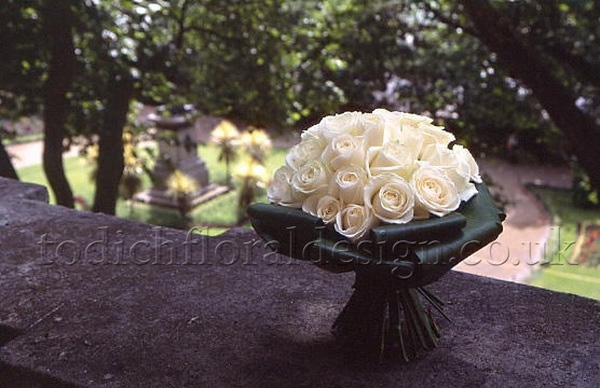 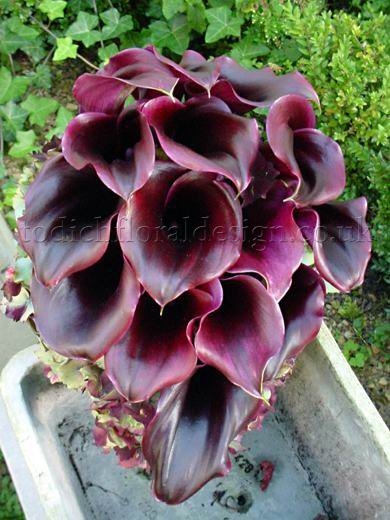 With the help of a professional designer florist, there are virtually endless possibilities. 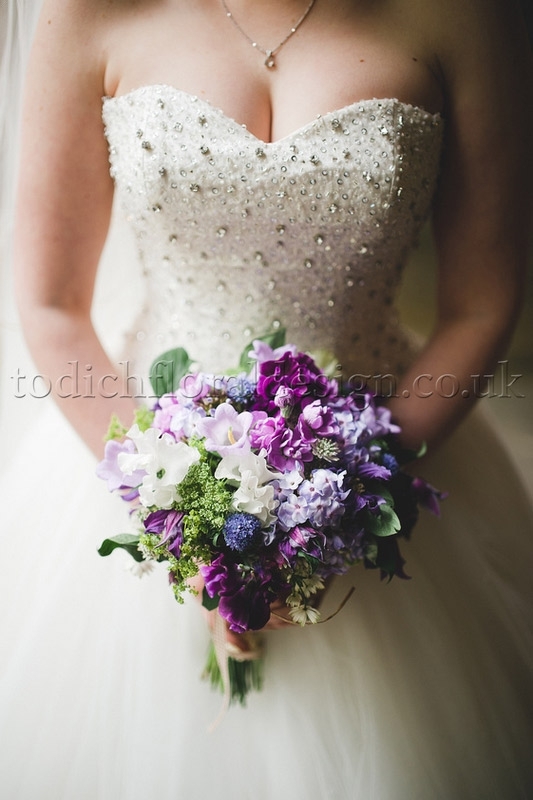 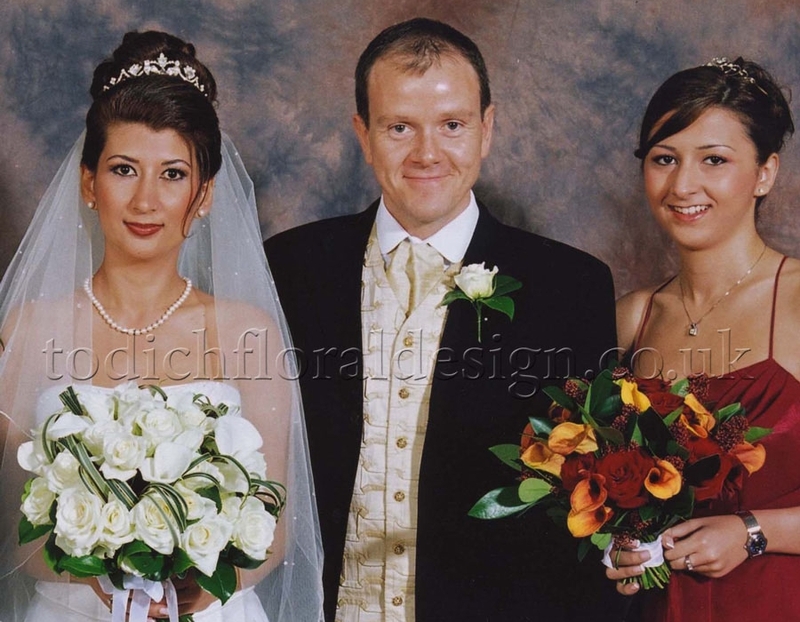 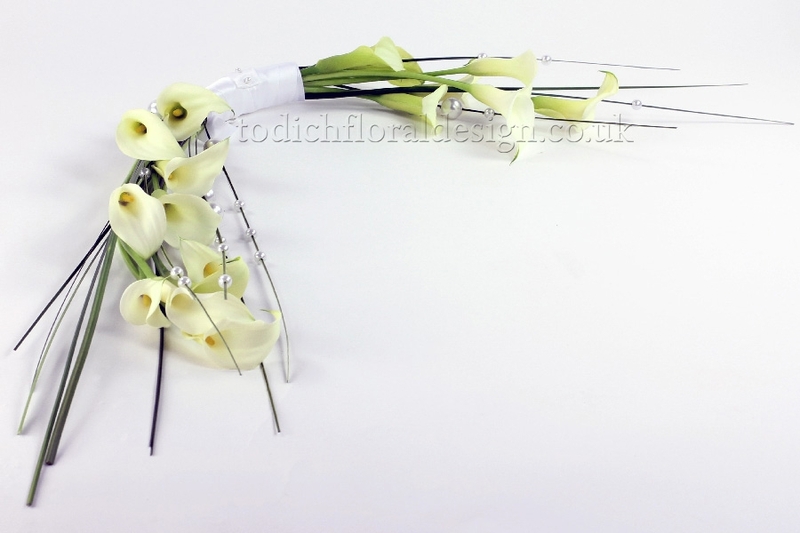 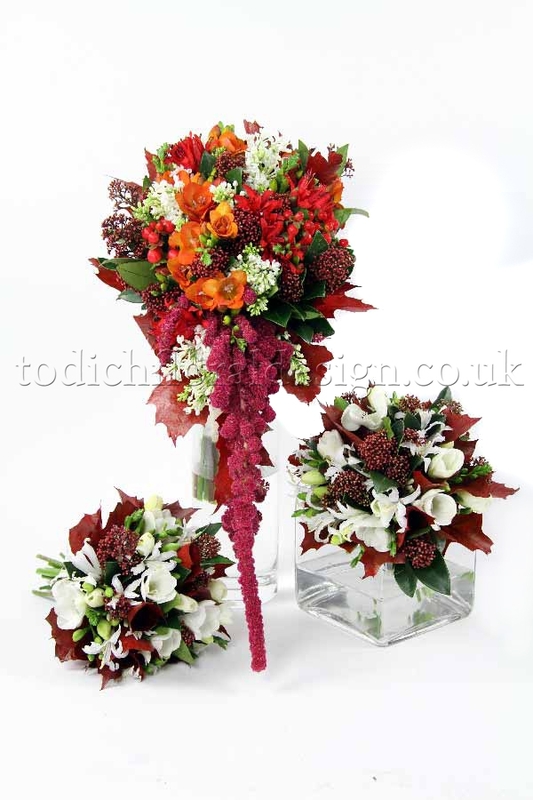 We at Todich Floral Design are pleased to say we have made many a unique and unusual bridal bouquet over the years, and are always amazed at how far imagination can take us. 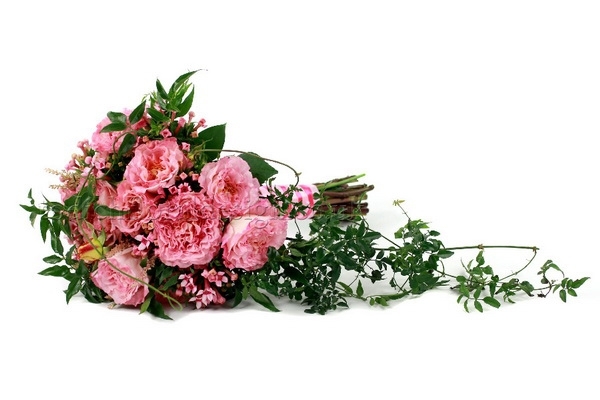 Don't feel overwhelmed by all this, you are not alone. 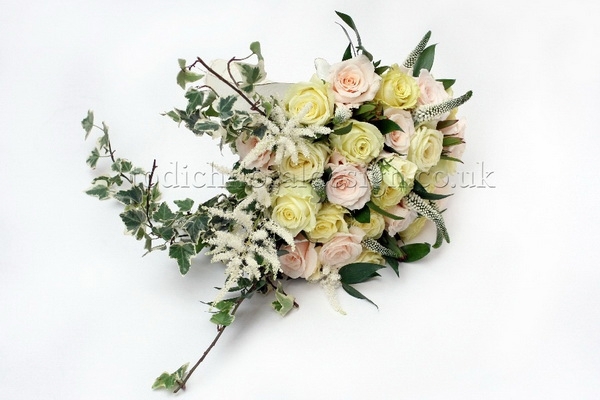 Your wedding florist, hopefully Todich Floral Design, will be there from start to finish, consulting with you and helping you create the perfect bridal bouquet, a bouquet that will encapsulate your moment of happiness and complement your inner beauty.